COOKOO is the first analog watch that connects with your smartphone, and puts you in control of your Connected life! It does not need to be recharged! 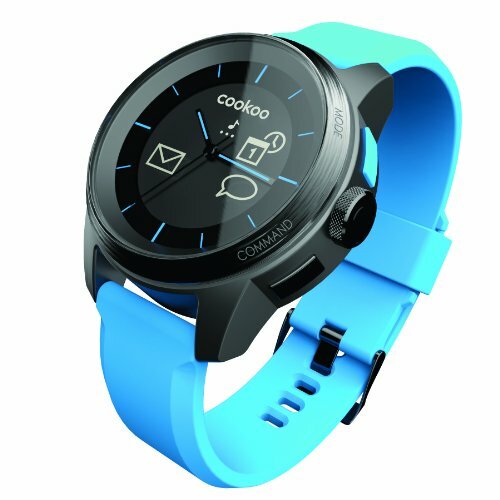 The COOKOO watch conveniently helps you manage your Bluetooth 4.0 smart device so you don't have to constantly check on it. Its intuitive icons and alerts let you know what's happening on your device in real-time, even when your device is tucked away. Compatible with devices with Android 4.3 and 4.4 compatibility and iOS 6 and 7 with iPhone 4S, 5 and 5S. If you have any questions about this product by COOKOO, contact us by completing and submitting the form below. If you are looking for a specif part number, please include it with your message.